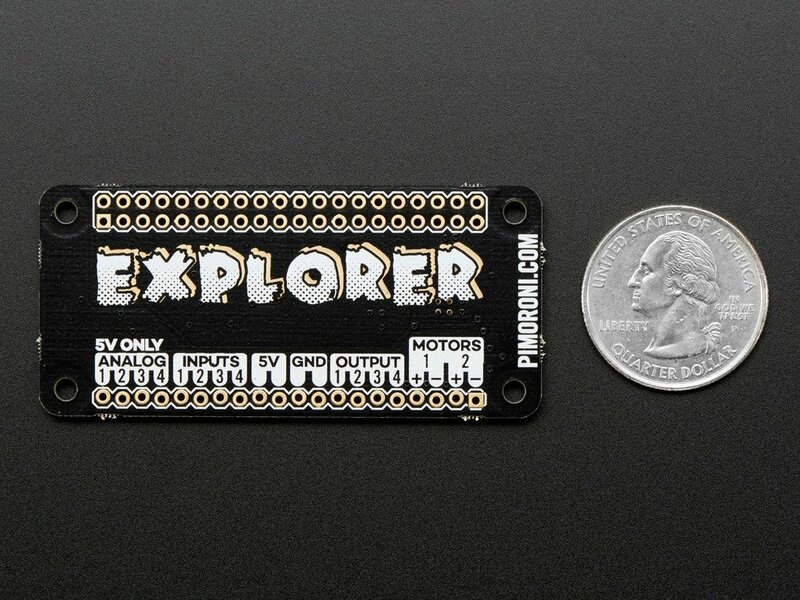 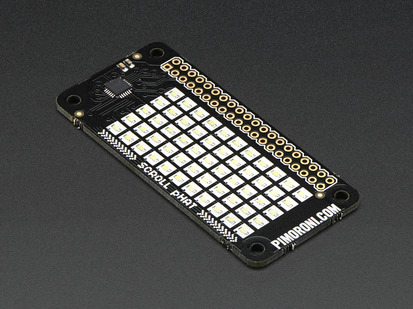 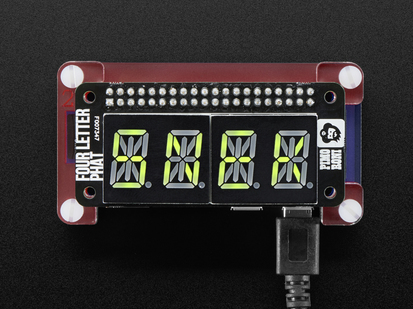 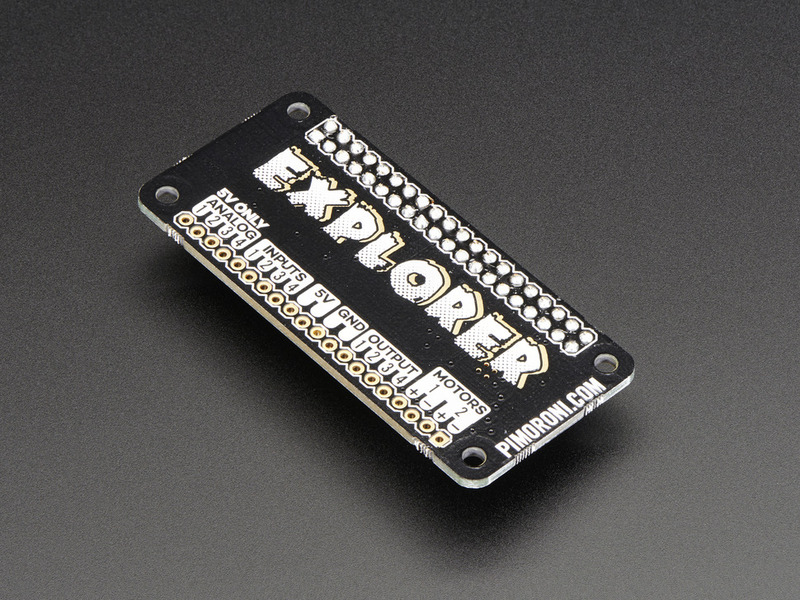 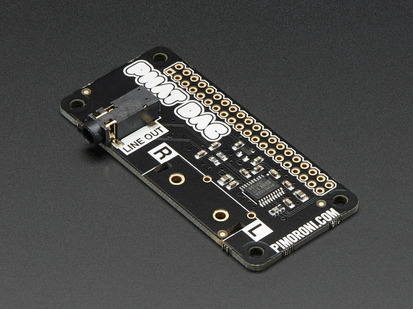 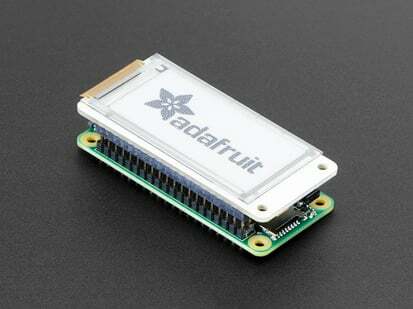 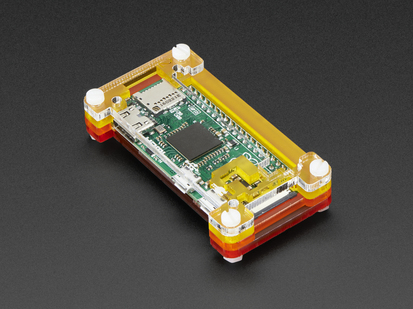 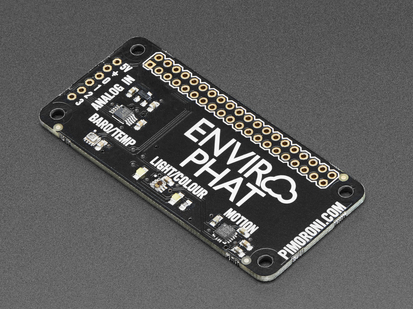 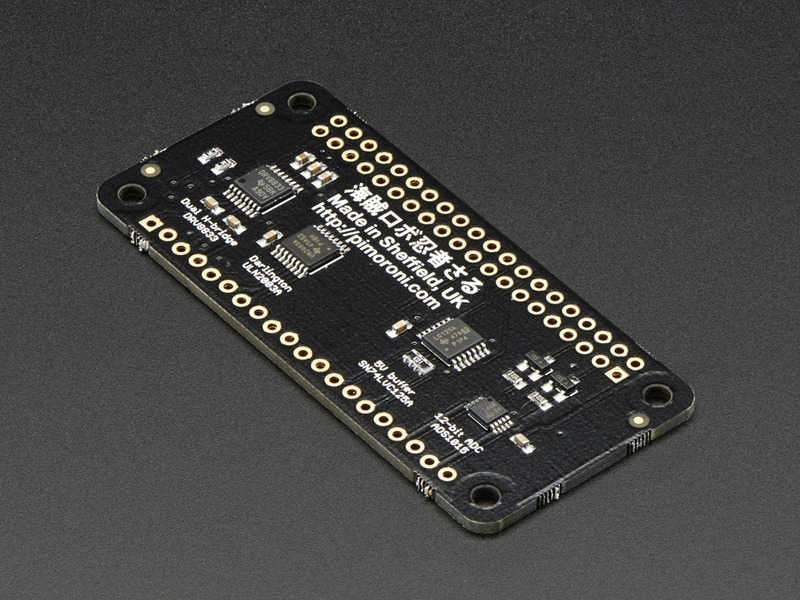 The Explorer pHAT is the perfect prototyping side-kick for your Raspberry Pi. 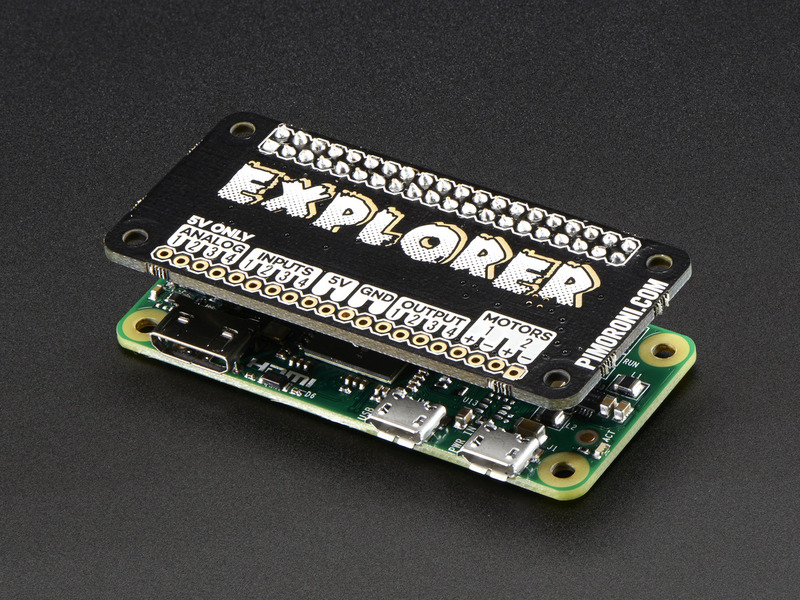 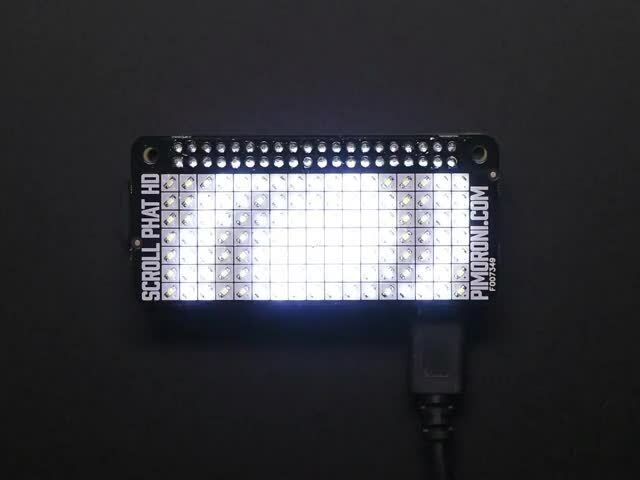 Based on Pimoroni's popular Explorer Hat Pro, this is a smaller cheaper version designed to fit perfectly on a Raspberry Pi Zero! 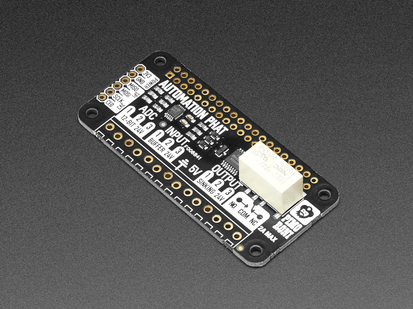 Four buffered 5V tolerant inputs - Hook up your Pi to accept input from 5V systems (like Arduino Uno/Leonardo or 5V Trinkets). 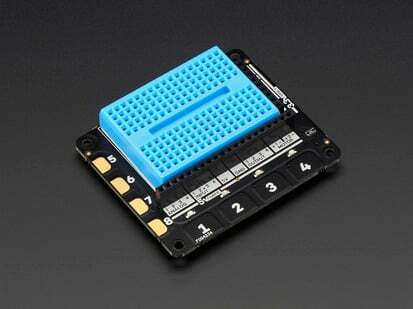 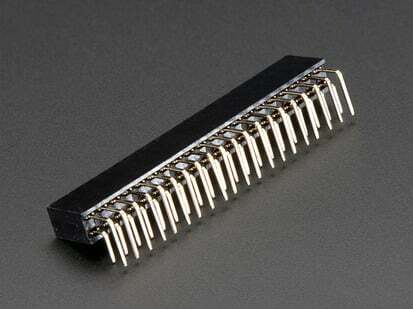 We've used a 5-channel buffer that will accept anything from 2V-5V as logic high. 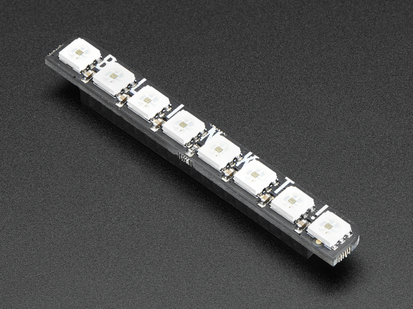 Four powered 5V outputs (up to 500mA!) 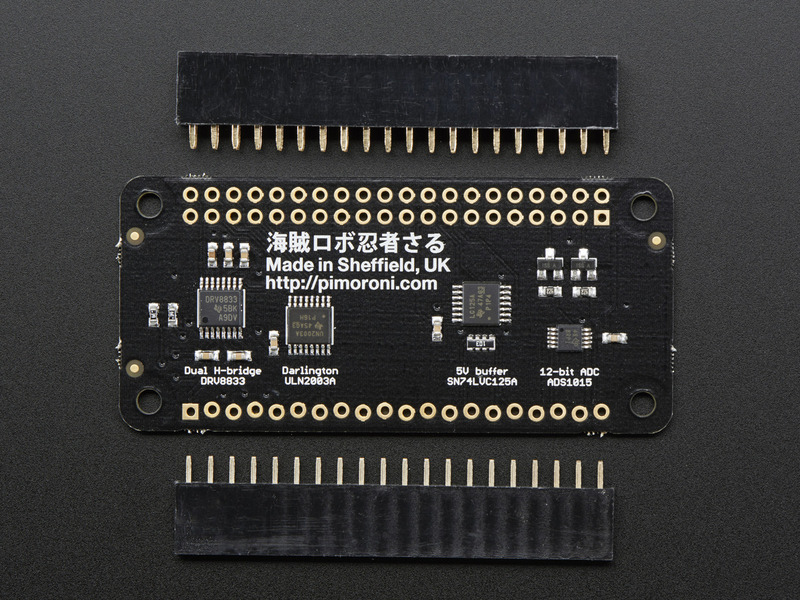 - The onboard darlington array can supply up to 500mA per channel (but you'll be limited to driving around 1A total from the board). 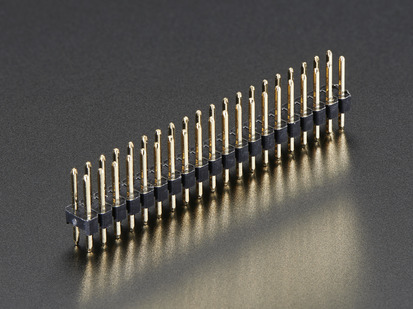 Ideal for stepper motors, solenoids, and relays. Check out Pimonori's full Python library, documentation and examples.